This week I’m sharing with you my project created with the December Mixed Media Kit from TRES JOLIE KITS. I loved this project and had so much fun creating it. I added a few different techniques to it. 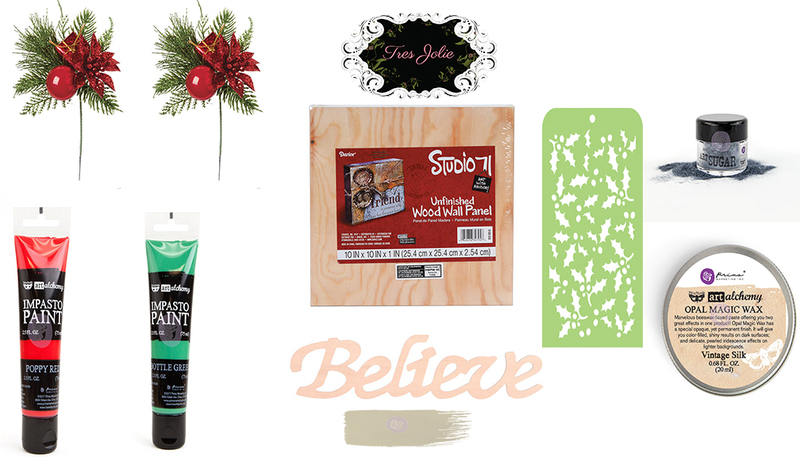 I wanted to create a shabby/weathered look to the plaque. Here is a quick photo guide on the process….. I firstly gave the plaque a coat of the green paint. I dried this with a heat tool to speed the process up. Next I covered the plaque with a thick layer of the off white paint. When fully dry I rubbed over places of it with some sand paper to rub back though the layers to reveal the green paint and the wood underneath. I then used some crackle medium from my stash in three patches on the plaque. The crackle medium I used does takes a good 24/48 hours to crack and dry but the wait is worth it. 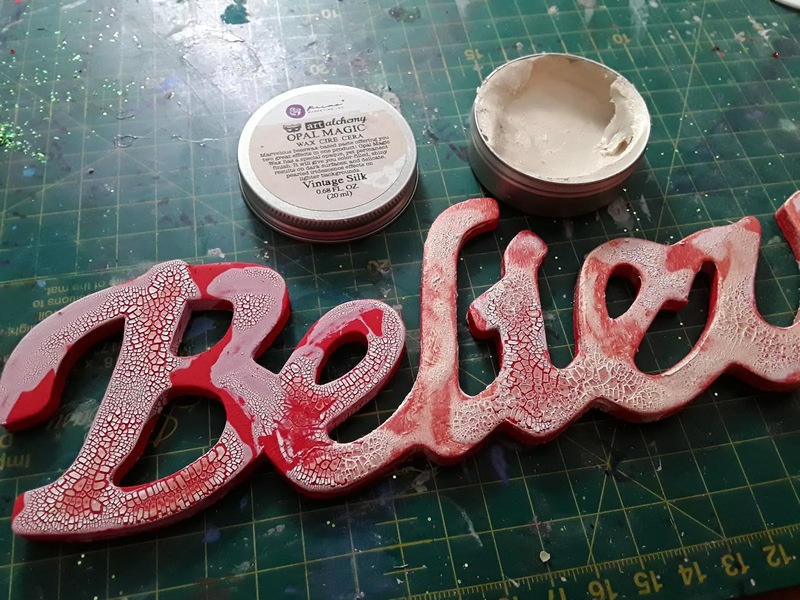 The ‘believe’ I painted with the red paint and then when dry covered in the crackle medium again. 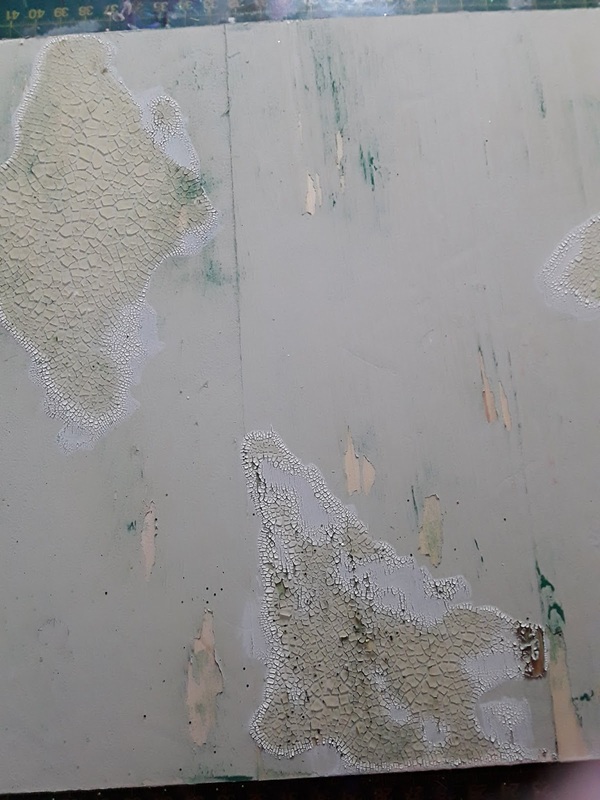 Thick in places to crack and not so in others – this is where it looks a bit white where there isn’t the layer of medium to crack but I like the effect. when dry and cracked I rubbed over the Opal Magic so that it filled the cracks. This really accentuated the cracks, I loved the way it turned out! 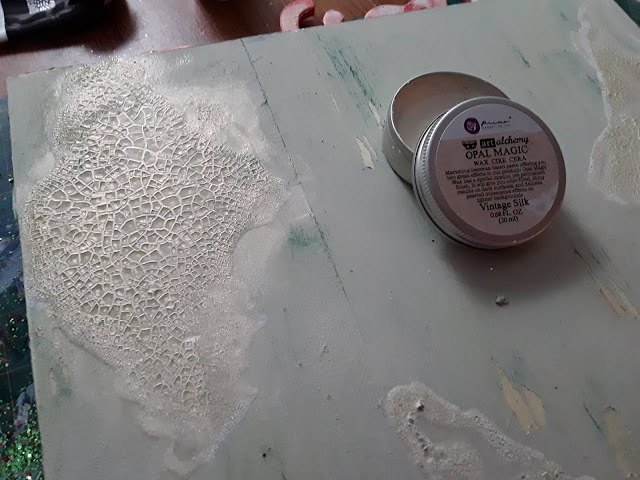 I added the Opal Magic to the crackle patches on the plaque too! 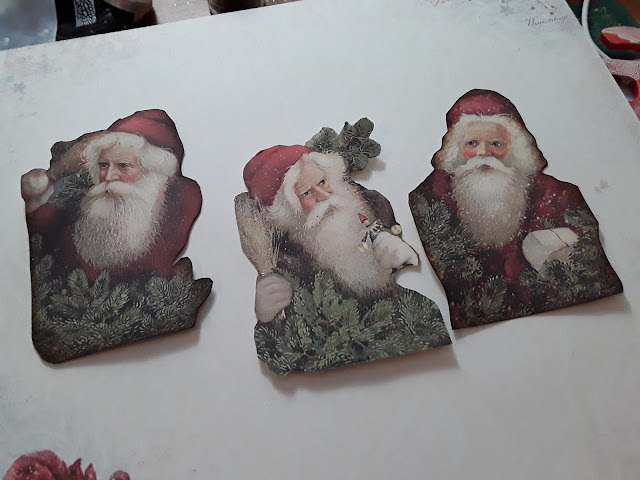 Next some fussy cutting from the papers in the main Scrapbook Kit. This was the base to main design. 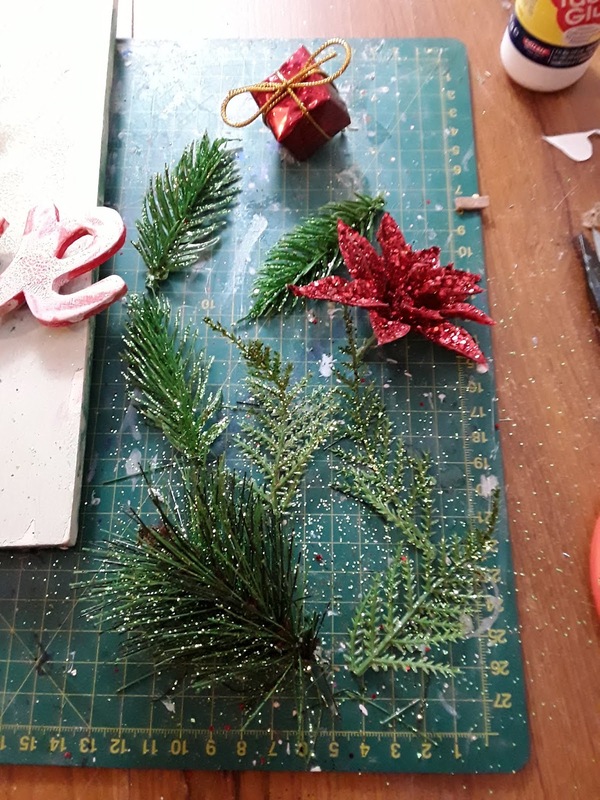 I used hot glue to fix one of the floral embellishments, as this a big piece to fix firmly. I added a lovely gold mesh bow to the back of the floral piece. 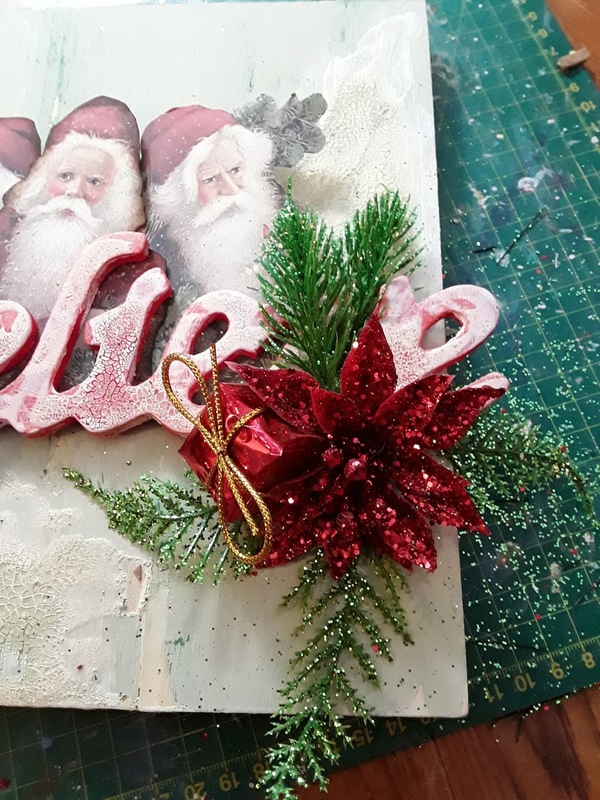 The second floral embellishment piece I cut up so I could create a smaller cluster…. …..And made this arrangement on the opposite side of the ‘believe’. 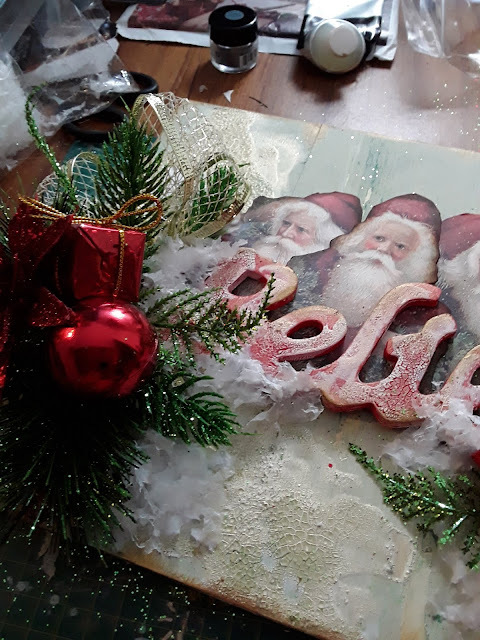 I added the fake snow around the floral cluster by dropping it into wet glue and leaving it to dry and then shaking the excess off after when dry. 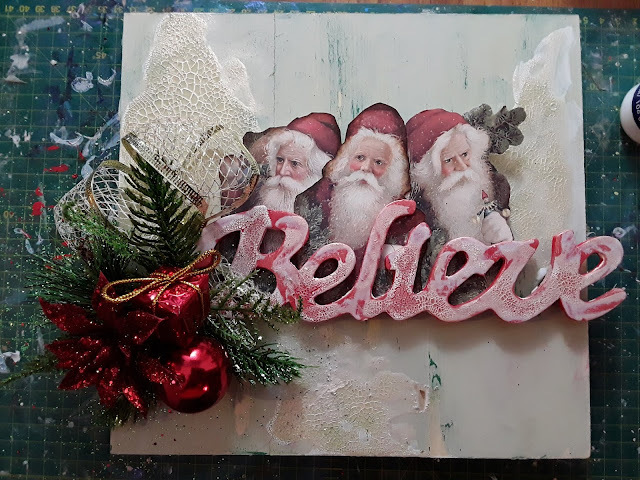 I finished off by rubbing some Viva Ink Gold around the edges of the ‘believe’ and the outside edges of the plaque and dropping some of the glitter on to the background that had fell off the floral embellishments….. I never waste anything!!! Here are some close ups of the finished project.